Our first grade team went out on a limb this year and tried some new things. All in the name of figuring out and delivering on what students need to be successful. I want to highlight what those teachers did and talk about some roadblocks they came across while implementing these new way of doing things. I asked if they would like to blog about their experiences and I heard.. I asked if they would like to write a post on my blog and they eagerly signed up! My first guest blogger is Kayla Casillas - @MrsCasillas_1st. Mrs. Casillas is currently in her 6th year of teaching and this is her 3rd year teaching 1st. Mrs. Casillas also taught ELA/SS in another district before joining ours! While the whole group decided to go with flexible grouping this year, Mrs. Casillas volunteered to write the following blog post. I certainly hope you enjoy and learn something! This year in First Grade, our grade level has been using flexible grouping in guided reading to help meet the needs of all of our students. It was a process that took a lot of time up front, but the payoff has been worth it! In this post I am going to explain the process that our grade level went through to group our students among all five classes and some of the benefits that we have seen from our students. Our journey with flexible grouping this year started in November. Our principal suggested that our grade level be the "guinea pig" grade level to try it out, share our feedback with her and eventually be a resource for other grade levels that also want to try flexible grouping. As a grade level our goal was to administer all of our middle of year reading assessments in December and start groups when we returned for the second semester in January. To make all of the prep work beforehand possible, we were fortunate to be able to utilize our grade level intervention specialists to help administer running records and group our students to best meet the needs of our learners. In our grade level we have two monolingual classes and three bilingual Spanish classes. The bilingual teachers had some students that were ready to transition their learning in guided reading to English. Monolingual teachers helped assess the bilingual students in English prior to grouping. Once we had all of our assessments completed, we decided as a grade level to meet with three, 20 minute guided reading groups each day. This year we have smaller classes than normal so our students are able to fit somewhere in a group that is being met with every single day with their guided reading teacher. As we looked at student assessments, we grouped students by reading level. We tried to match students in groups as closely as possible to similar reading levels to meet the same skills for the whole group. We still individualize some instruction with students through conferencing during reading groups, but overall we focus on the same skills for the whole group. We grouped the bilingual students who were ready for English in with the monolingual reading groups to help give them academic language exposure with native English speakers. Each bilingual teacher has three Spanish guided reading groups for a total of nine groups altogether. Each monolingual teacher has three English guided reading groups for a total of seven groups. The extra English guided reading group gets pulled by our English intervention specialist to ensure that each group gets met with every day. 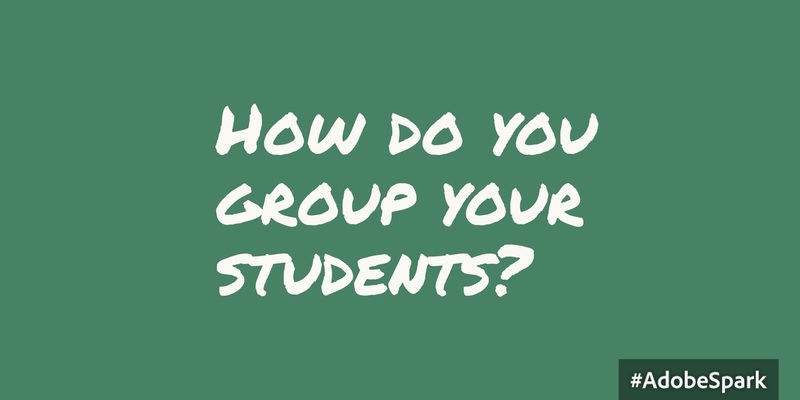 I have heard from other teachers within the district whose grade levels use flexible grouping, that they implement it slightly different than us. Other schools group their students for flexible grouping for the entire Language Arts block which includes the whole group lesson, stations and guided reading. As a grade level we decided we would rather just use flexible grouping for guided reading groups rather than restart the entire way we structure our Language Arts block, especially so far into the school year. Each teacher teaches their whole group Language Arts lessons each day for 30 minutes to their class, and then they do their flexible guided reading groups for an hour while the rest of their class rotates through two to three stations per day. If a teacher pulls a student from another class for guided reading groups, they send a student from their class into the other classrooms to quietly gather the students needed for each guided reading group. From January to March we kept the groups the same. We noticed that some students started progressing much faster than others and some students needed extra time with previously taught skills at different levels. Once we returned from Spring Break, we reassessed our students using an old running record system that our district no longer uses, but suggests that we use in between assessment windows to gather accurate data on our students as needed. With the updated data we had for our students, we were able to rearrange our groups as needed. We also continued to add bilingual students to English reading groups who were reading for instruction in English. Prior to diving into flexible grouping our grade level had some concerns that other teachers may feel when starting this new venture in their classrooms. The biggest concern our grade level teachers had was giving up our own students for guided reading. I think that all teachers feel protective of their students and it is hard to give your trust to someone else to give your students everything they need. The second concern we had was staying on the same exact schedule as the rest of the grade level. Because we were all pulling each of our three groups at the same time, it makes it difficult to have flexibility with your schedule and class during this time. On the flipside of these concerns, we have seen incredible growth in our students’ reading across the grade level. We have had students grow more than five reading levels from January to this time in April. For some students it has benefited them to learn from a teacher with a different learning style than their homeroom teacher. We have seen an improvement in the confidence that our students have as readers. They truly are taking ownership of their own reading and love to come to reading groups to read new books each day. Our bilingual students who are grouped with native English speakers have grown their academic vocabulary and academic language to a level almost comparable to their native English speaking peers. We are in the homestretch of our guided reading instruction and start our end of year assessments in just a few short weeks. Looking back at the time we have spent to meet the needs of our students through flexible grouping, I think I can say with confidence for our whole grade level that flexible grouping has truly been a huge key to the success of our students’ reading this year in First Grade! Wow, thank you so much Mrs. Casillas for taking the time and the risk to write this blog post! You guys are amazing and your students are better off for it! And for you, the reader, thank you for taking the time to read it.